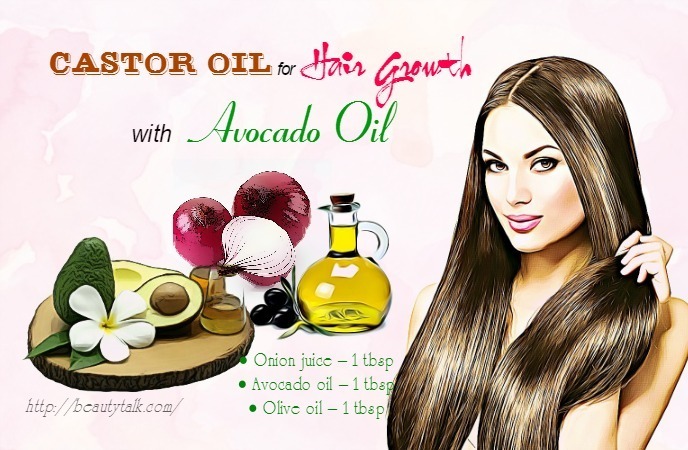 Top 16 Ways To Use Castor Oil For Hair Growth – How Does It Work? 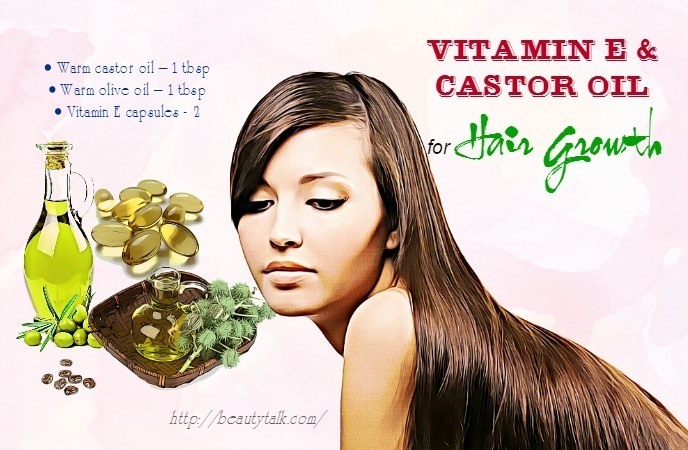 Why Should You Use Castor Oil For Hair Growth? 16 Science-Based Ways – How Does It Work? What Are Side Effects Of Castor Oil? A common desire of many people is having thick, long, and lustrous locks. Therefore, the problems of hair loss or thinning hair are a nightmare for some people. These days, factors such as stress, hormonal imbalance, genetics, nutritional deficiencies, heating tools, etc., are some of the common reasons for hair loss. 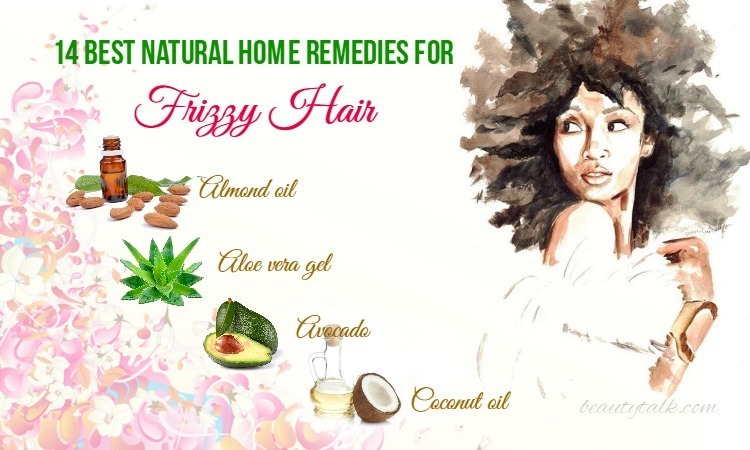 But don’t worry because you can induce hair growth by using multiple natural home remedies. Castor oil is one of such cures. 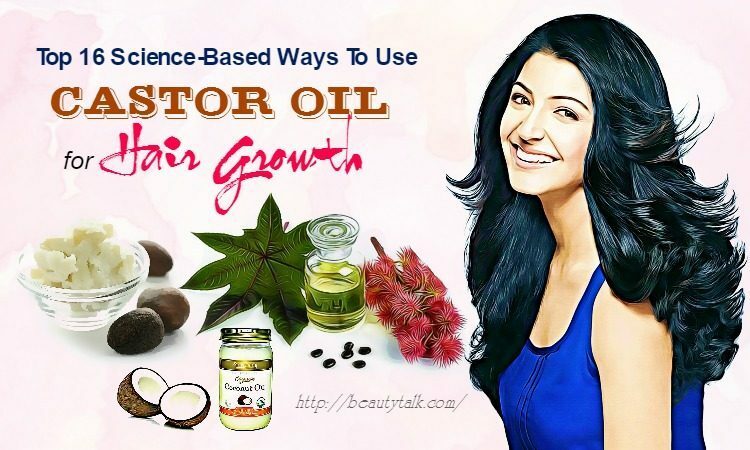 Castor oil is made by pressing the castor plant’s seeds, which is mostly native to India and Africa and this plant also appeared in Jamaica due to slaves trading. 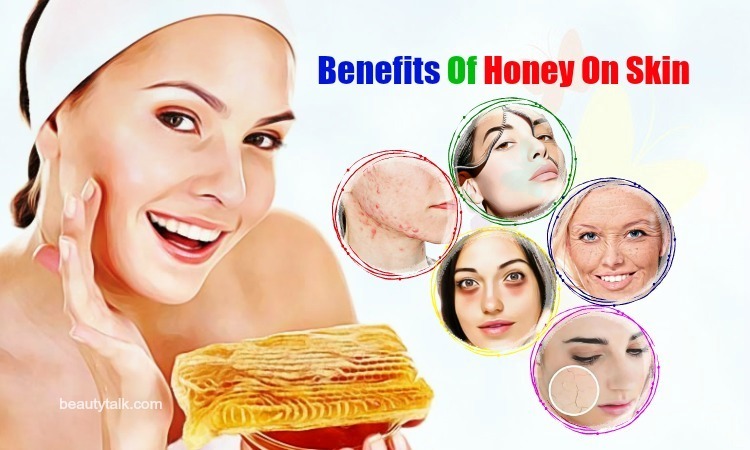 The benefits of castor oil for health are well known. But when it comes to hair, it also works well. 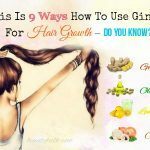 This is because it is made up of omega-6 & 9 fatty acids, ricinoleic acid, minerals, and vitamin E. These nutrients are essential for promoting hair growth and treating hair loss. 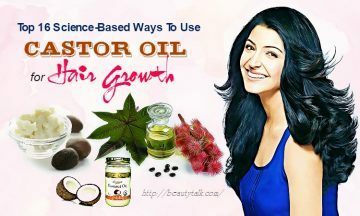 Let Beauty Talk introduce to you the best ways to use castor oil for hair growth and how does it work. Let’s get started! 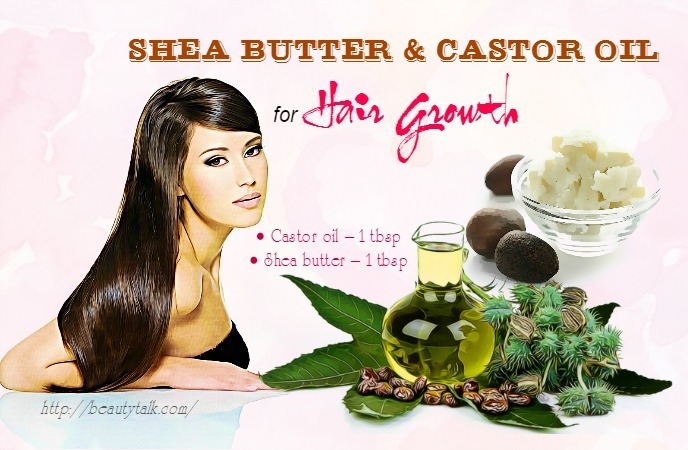 Castor oil is generally becoming a helpful ingredient for inducing hair growth. The hair grows by about 1/2-inch every month on an average. 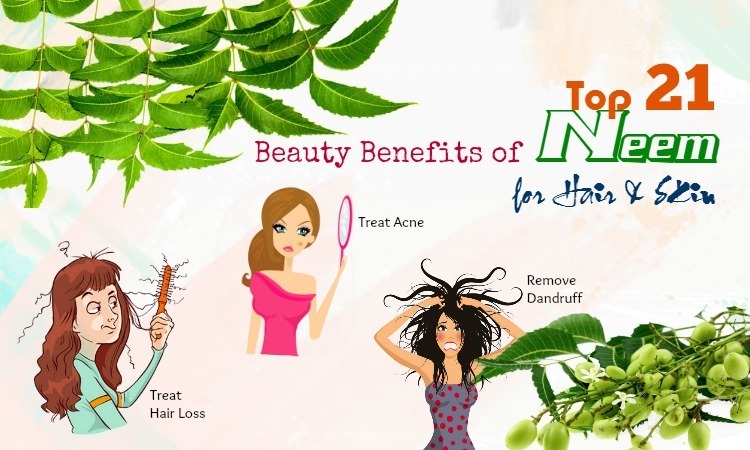 Hair growth can be promoted by 3-4 times the normal rate with daily use of castor oil. Your hair becomes remarkably thicker within several months of use. In addition, it can make your eyebrows and eyelashes thicker and longer. Being loaded with antiviral, antifungal and antibacterial properties, castor oil is a beneficial remedy for scalp infections. It is also high in protein content, which maintains hair health. Along with that, it is able to combat infections such as folliculitis, causing the hair follicles’ inflammation. Furthermore, castor oil contains the ricinoleic acid that improves circulation of blood at the scalp. This acid also helps to balance the pH levels of the scalp. According to the Black Women Beauty Central website, omega 6 fatty acids in present in castor oil help to keep the scalp from drying out, while daily use of castor oil can encourage thicker hair growth. Being rich in antioxidants, this oil supports the keratin in the hair, making it stronger, smoother, and less frizzy. Firstly, mix together the two oils in a bowl and gently apply this oil mixture to your hair. Then, massage your scalp for a minimum of 5 minutes. Afterward, spread this oil mixture thoroughly into the hair and wear a shower cap. After around 2 hours, wash this mask off with lukewarm water and shampoo. Follow this treatment two times each week for 2-3 months to promote hair growth. At first, mix together the olive oil and castor oil in a small cups and later add the hibiscus petals to the oil mixture. After that, heat this oil mixture for ten seconds on a medium flame. Now start applying to your hair with the oil and massage the scalp slightly for ten to fifteen minutes. Lock in the moisture by wrapping the head using a steamed towel. Lastly, wash the application after an hour with lukewarm water and shampoo. For maximum results, repeat this application weekly. Take an applicator bottle and add all the above things in it. Shake it well and apply on your hair & scalp with this oil mixture. Use your fingertips to massage the scalp for around 5-8 minutes. Afterward, wash off after 30 minutes with warm water and shampoo. Use this natural remedy twice weekly to get thicker hair. The first step is to mix the jojoba oil and castor oil in a container. The second step is to shake it well. Then, part the hair and directly apply on your scalp with this oil mixture. Massage your scalp for 5 to 8 minutes and afterward, use some warm water and shampoo to wash your hair after around 60 minutes. This oil mixture should be used 2-3 times weekly for healthier and longer hair. In a bowl, blend the two oils together and add the contents the vitamin E capsules to it. Use your fingertips to gently massage your scalp with this prepared mixture. After 30 minutes, wash your hair using warm water. For optimum results, repeat the procedure 2-3 times weekly. Add the castor oil, mustard oil, and olive oil in a bottle at first and later shake well. Thereafter, massage this mixture for 5-7 minutes onto your scalp and wrap the hair in the steamed towel. Finally, shampoo your hair well after 30-45 minutes with lukewarm water. You can use this remedy one time per week to boost hair growth. Firstly, take the whole cayenne peppers and cut them into very small pieces. Later add the castor oil to it and then store this mixture for 2-3 weeks in a dark, cool place in a glass bottle. During the week, remember to shake the bottle one time in a while. Strain the mixture after three weeks and discard the peppers. Start applying this oil on the scalp and massage it for several minutes. Leave it to set for about 60 minutes before washing it off. Repeating this process two times weekly will help you get the desired volume and shine. The first step is crushing the garlic cloves with a mortar and pestle. The next step is mixing it with castor oil. Then, marinate this mixture for 3-4 days and after that, get the oil out. Now apply on your hair & scalp with this oil and massage with circular motions for 5 to 10 minutes. Let the oil remain on for 2-3 hours and rinse the oil off with a shampoo and conditioner. This tonic can be used a minimum of twice weekly for accelerated hair growth. Firstly, heat the Shea butter for several seconds and later mix it with the castor oil. Then, apply this mixture to the scalp and wash it off after an hour. This blend can be used once a week to get healthy hair. Firstly, blend all the ingredients with a hand blender to attain a thick hair mask. Then, apply this mask on your scalp and hair gently. Wear a shower cap afterward and leave the mask to set deeply in the hair. Finally, rinse the hair mask off after 2-3 hours with a mild shampoo together with lukewarm water. This hair mask will make the hair healthier and shinier. Firstly, add the ginger juice to the castor oil. 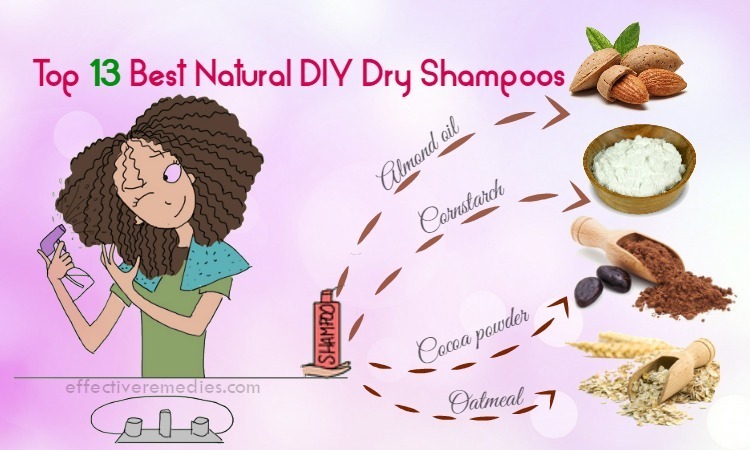 Later massage this mixture on your scalp and wash off after thirty minutes with some warm water and shampoo. For visible results, follow the procedure 1-2 times in a week. Besides, ginger is also a great remedy for reducing breast size. You can learn more at How To Reduce Breast Size Naturally & Fast. First of all, add the peppermint oil to castor oil and later shake well. Divide your hair and start applying the mixture directly onto the scalp. Leave the mask to stay on for a minimum of 2 hours and lastly, wash it off. This blend can be used two times weekly for a few months for faster results. Mix together the almond oil and the castor oil in a bowl at first and next, heat the oil mixture for several seconds on medium flame. Apply this blend gently to your hair & scalp and use your fingers to massage well for 5-7 minutes. Finally, wash your hair with some lukewarm water & a mild shampoo. Take the castor oil in a bowl and add the onion juice in it. Blend these oils well and massage gently your hair & scalp with this oil mixture. Finally, use a mild shampoo & lukewarm water to rinse the oil off after around 2 hours. Mix together the onion juice, avocado oil and olive oil in a bowl. Thereafter, use this resultant mixture to apply to your scalp. Gently massage with your fingertips for 4-8 minutes. Finally, wash it off with a mild shampoo & lukewarm water after 2-3 hours. This oil should be applied once weekly for healthier, stronger hair. Mix the above oils in a container and heat the container until they’re blended. To this mixture, add the rosemary essential oil and massage the hair and scalp for 5 to 7 minutes with this hot oil. After that, remove the oil after fifteen minutes with a mild shampoo. Follow this treatment weekly for few months for visible results. Generally, castor oil is safe. But, if you’re allergic to certain ingredients housed in it, you can experience side effects. 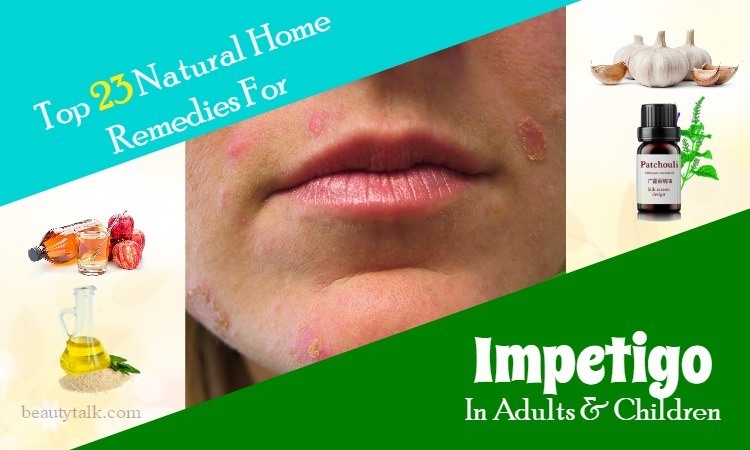 Some mild allergic reactions are itching, redness, a burning sensation, and rashes. 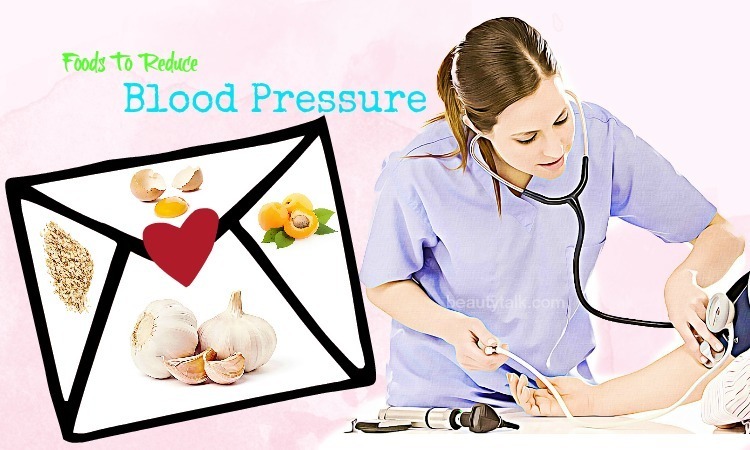 In some severe cases, you can experience sudden dizziness, swelling of the face, and difficulty in breathing. Thus, before applying it on a large scale, it’s necessary to do a patch test. All you need to do is rubbing castor oil (a few drops) on your feet or forearm and later keep it on for about 1 day. If you experience any kind of reaction, even slight itching or redness, you need to avoid using this oil. You can buy castor oil at many natural food stores or pharmacists. Some supplement and vitamin stores also keep this oil in their natural products part. Hope that this article will be useful for you. For such articles, please directly visit our main Hair Care page. If you know other ways to use castor oil for hair growth, then share them with us.